European shares hit a two-year low and indexes across Asia dropped sharply following the arrest, which analysts said revived worries over the US-China trade war. However, concerns the arrest would affect the 90-day tariff truce negotiated between the two nations at the G20 have not yet materialised. China announced in a regular press briefing on Thursday that it would “immediately” implement the measures agreed. 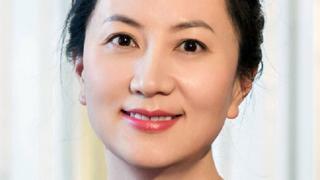 Canada’s ministry of justice said a bail hearing for Ms Meng had been set for Friday. US media reported that Huawei is under investigation for potential violations of US sanctions against Iran. Meanwhile, US National Security Adviser John Bolton said on Thursday that he had known in advance about Ms Meng’s arrest. He told National Public Radio that he didn’t know if President Donald Trump had also been aware.